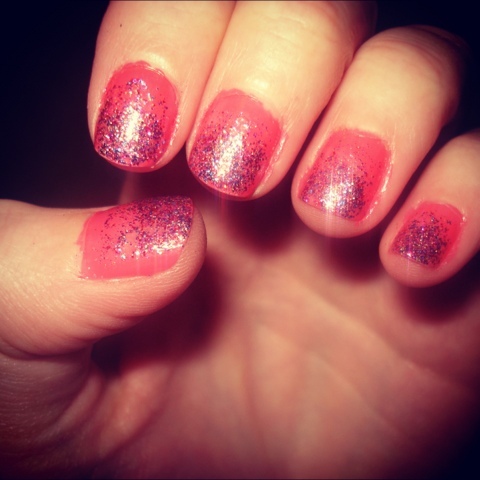 "Rockstar Pink" by Sally Hansen! This polish is great because it's super affordable, so it's great for those on a budget, and it creates unique, sparkly, and eye-catching nails! 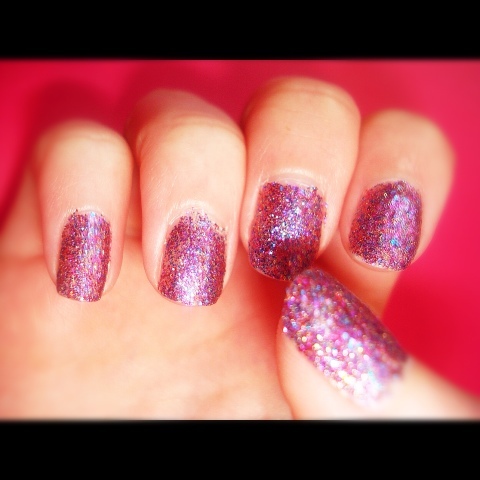 Or another idea for this polish; apply a fading coat onto one of the colours that are in the sparkles! check out the picture!